FourThirtyThree Inc. (4:33), publisher and mobile game developer, has just opened pre-registration sign-ups for collectible role-playing game DC Unchained on iOS and Android. Pre-registration of DC Unchained can be made through its official Web page. It will be available exclusively in South Korea, Taiwan, Japan, Hong Kong and 9 other countries around Asia. Players who pre-register will garner a variety of exclusive in-game rewards for a much-appreciated edge. Developed by ThumbAge and officially licensed by Warner Bros. Interactive Entertainment on behalf of DC Entertainment, DC Unchained is a collectible action role-playing game based on DC’s iconic characters and stories. 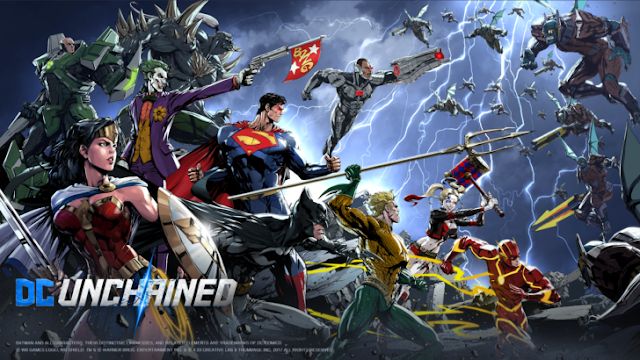 DC Unchained features a massive roster of DC Super Heroes and Super-Villains from which players can build dream teams of their favorite DC characters. It offers 30 playable characters, including Batman, Superman, Wonder Woman, The Joker and Harley Quinn. Each has his or her own signature moves, abilities and costumes. Players can learn how to combine the Super Heroes and Super-Villains to unleash skills and can challenge one another in action-packed gameplay modes. DC Unchained is slated to be available in 2018.